THE WHITE PRISONER IS HERE! “The white prisoner: Galabin Boevski’s secret story”’s worldwide premiere is today. The book is ready to be read. Createspace is a company of Amazon. The digital/e-book version of the book is available on Amazon. More then 30 new and old friends contributed to the book. I will not mention them here. There is special gratitude page in the book. Thank you guys for all your efforts and advices. I must mention the community at the official page of the book: https://www.facebook.com/galabin.boevsky. Every poster, who asked when the book will be on the market, encouraged me more and more to hurry up and to make things as best as I can. You may see as well some very nice discussions in the twitter page https://twitter.com/galabinboevski with amazing rare photos by MILO journal published Randall J Strossen, who witnessed by himself most of the events in the book. Today was a common day in my newspaper. I must do my daily writings in our redaction, but my mind was thinking just about the tomorrow day. It’s kind of the moment, when my baby girl was up to be born or when I went to check my entering exams results for University. Probably someday I will remember what was the feeling in the days before publishing my first ever book! Ladies and Gents, I am proud to present to you the cover of my book “The white prisoner – Galabin Boevski’s secret story”. The art was made by designer Velizar Stefanov. Here is the second excerpt of “The white prisoner – Galabin Boevski’s secret story”. Later today we will officially present the English edition cover. Yanko Rusev already knows Galabin will be included in the squad for the 1995 World Championships in China. Boevski is in among the favourites for the 64 kg category. At 59 kg the big hopes again are on Nikolay Peshalov and Sevdalin Minchev. Bulgaria has two athletes at 70 kg – Plamen Zhelyaskov and Radostin Dimitrov. 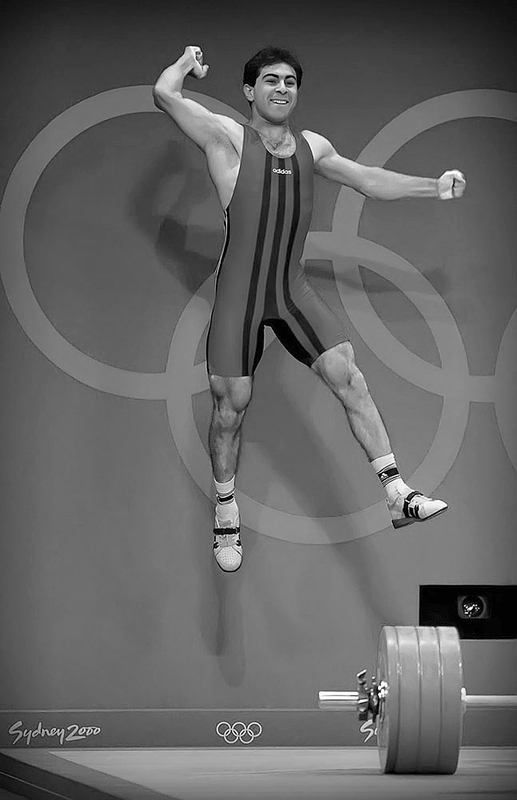 The other great star – Yoto Yotov will lift for the first time at 76 kg. He has the unique achievement of being first or second in every competition he has participated in. The young Zlatan Vanev is also in his category. The competition is fierce, because these championships will decide the Olympic quota. There are nearly forty athletes in a couple of categories. The biggest stars in weightlifting are ready for great battles, led by the Turks Naim Suleymanoglu and Halil Mutlu, the Greeks Leonidas Sabanis and Pyrros Dimas, and the Cuban Pablo Lara. The strong weightlifters from the former Soviet Union are aiming for medals in every category, and the Chinese, breaking record after record, are achieving the next phenomenal results. Hristo Boev is going up the stairs in the Sports Ministry. The Bulgarian Weightlifting Federation’s office is there. The CEO Norair Nurikyan had invited him. He added nothing more. Boev senses there is something wrong the moment he steps into the office. “Hey, don’t mess around! How was he caught three days before the World Championships?” The coach clenches his fists. “This is the document in English, the sample was opened,” Nurikyan gives him a piece of paper with a shaking hand. Nurikyan bows his head and remains silent. Years later he admitted, that at this moment he felt as if Hristo Boev would throw him out of the fourth floor window. “Hey, what the hell happened?” Hristo Boev had barged into the gym of the sports complex “Dianabad”, where the national team was located and shouted at the coach Yanko Rusev. “How the hell are we going to defeat him, you fool? Galabin has been caught!” Hristo Boev erupts again. “What do you mean caught?” The national team’s coach honestly replies. The noisiest place in the whole town was Knezha’s newspaper stand [Knezha is Galabin’s home town]. Several people had gathered, reading the headlines. The salesman could not get them to leave. Everyone shut up, when Stella Boevska [Galabin’s mother] approached. They made way with compassionate looks in their eyes. She looks at the first page – “Weightlifters caught with doping before the World Championships.” Her eyes focus on the article. She begins to read slowly. Her hope evaporates. The last name is Galabin’s. “Lizard [Stefan „The Lizard” Georgiev], I am a convenient victim,” Galabin shakes his head while relating what had happened. They were having coffee. “You are quite right, coaches are saying the Olympic Committee is deciding on which sports to leave and which to cut. Dear friends. As we are closing to the date of “The white prisoner – Galabin Boevski’s secret story”, which is set for 30 May, we are proud to announce that tomorrow you will have a chance to see for the first time the cover of the novel. It will be different from Bulgarian edition and was prepared by the popular art designer Velizar Stefanov. Few days before world wide premiere of “The white prisoner – Galabin Boevski’s secret story” here is a small excerpt of the book. Hope you will enjoy it! The last workout in Pernik was at its peak. The big star Yoto Yotov was feeling at home. On the neighbouring stages Galabin Boevski and Damian Damianov, who was removed from the national team, were getting ready. The heavyweight division talent still hadn’t forgiven Abadzhiev for his expulsion. “You have to be very careful with the Senior Trainer. If he doesn’t like you, you will have trouble,” bald headed Damianov says. He talks slowly, and his words are full of hate. “You will see for yourself his system is not the best. The coaches say in the old days he had 7-8 men in every division. The choice was wide. It was a massacre. He didn’t care if you damaged yourself, because there were others waiting. If you got injured, he wouldn’t even remember your name. He is doing the same thing now, and we are ten men in the team. “I will train using my personal trainer Hristo Boev’s procedures. We had the best results that way,” Galabin agrees, because he had heard what the training sessions were like under Abadzhiev. “I hear he is preparing Georgi Markov for your category. He is very strong,” Damianov added. “Even better for both of us. We will compete with each other,” Boevski said happily, as he was afraid of no man. “You are smart to keep away from the thugs during your ban. It’s a lot more complicated now for me. You can see they don’t want me in the national team. I don’t know what is going to happen, but I have to earn cash some way,” added the World junior champion. “It’s a pain for you, but essential for the likes of me, so we don’t get distracted,” said Damian Damianov, who was not one of the strictest regime followers among the elite weightlifters. Abadzhiev had gathered the national athletes for a camp before the World Championships in Lahti (Finland). Four years after the European Championships for juniors in Rome, Galabin had a chance to set foot on an international stage. This would be the second big competition, after the European in Riesa, in which the men’s categories would be cut back. It would be 8, down from 10. Galabin doesn’t have much of choice. His previous category – 64 kg, no longer existed. He had gained some weight and it is clear there is no way he could compete in 62 kg, where Sevdalin Minchev had an almost reserved place in the squad. His goal was 69 kg, where Plamen Zhelyazkov has established his position. About twenty weightlifters are competing for eight positions in the national team. The battle would be tough. The knock on the door was followed by a calm “Get up”. 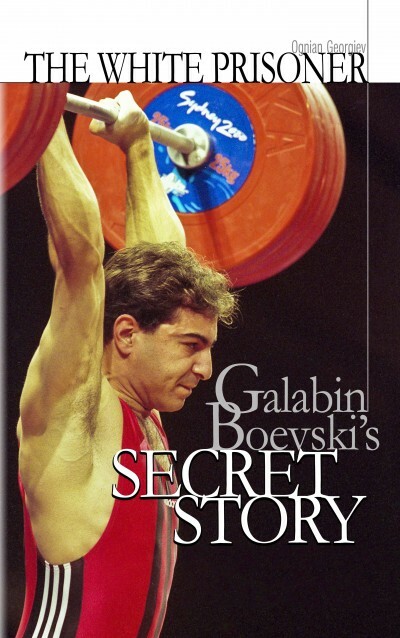 Ivan Abadzhiev was the only coach in the world to personally wake his weightlifters. Galabin got up and reached for the pack of “Victory” . The window was wet with condensation during the night, and outside the dirty Sofia mist was obscuring everything. On the second knock Gardev jumped up and opened the window. “Georgi, shut it, we will catch a cold!” Boevski breathed out. “Galab, if you don’t throw away that cigarette, I won’t close it,” grumpily Gardev replied, using the short form of Galabin’s name. “Oh come on, why are you pretending to be a non-smoker?” Galabin said as he put on the national team’s tracksuit. “Am I smoking – yes, I am, but I never light a cigarette before noon,” the weightlifter from Pazardzhik sniffed and headed for the bathroom. At least there the air wasn’t smoky. “Here, I give you my word – if I become an Olympic champion, I will stop smoking,” Boevski vowed. Ivan Abadzhiev didn’t cause trouble over smoking. All athletes knew it was not healthy for them. The bad habit had a serious effect on football players, boxers, athletes and cyclists who used their lungs more. For weightlifters smoking was harmless, and most of the athletes in the national team always had a stash of cigarettes. Galabin tried smoking for the first time in “Olympic Hopes”. It was just showing off at first. Ten boys gathered money together for a box, which emptied quite fast. The talented sportsman from Knezha started smoking seriously after the doping scandal in 1995. Galabin was lifting hard during training. Things were working out. After each session Boevski went back to the room and opened a lined notebook. He marked his progress and kept everything according to plan. In the evenings the weightlifter, who would turn 24 in a month, called his uncle. He gave an account of his progress. They were discussing the problems on the technical side. Galabin was pleased with the progress he had made. Abadzhiev too. The Senior Trainer decided to trust Boevski who officially became part of the national team’s squad. On one of the last training sessions prior to leaving for Finland Galabin put a wet shirt on his back. He was warm and didn’t feel the cold seeping into his back. The pain came on steadily. Two days before the competition his shoulder blade was hurting badly. The doctor was helpless. He explained the muscles contracted faster due to the sudden change in temperature. The pain was coming from a pinched nerve. The trauma could be healed in a couple of days, if treated correctly, but at its peak it made the body very sore. “Doctor, I feel like a cane, what should I do?” Galabin, worried, asked on the day of his competition. He knew Abadzhiev didn’t accept injury as an excuse for failure. If he had to, the Senior Trainer would let a weightlifter compete with one arm. Few days before the worldwide premiere of the novel “The white prisoner – Galabin Boevski’s secret story” the book already has more then 2000 Facebook fans (https://www.facebook.com/galabin.boevsky)! Thank you very much to all for your comments, shares and support. We started the FB page just to show the story of the Olympic champion Galabin Boevski. 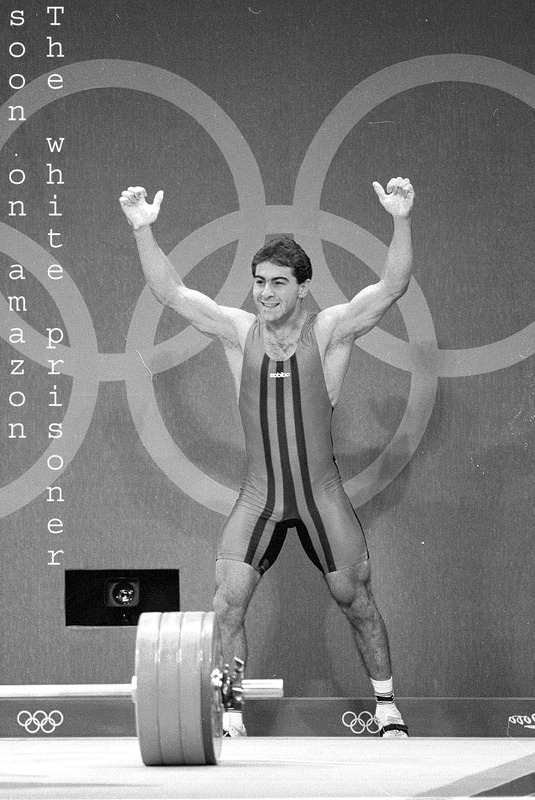 Many others top lifters from Bulgaria were part of his life. He crossed the roads with international stars like Naim Suleymanoglu. In the FB page daily posts we remembered some of the greatest competitors in the sport. We told you the most actual news of the world of weightlifting. We try to focus your attention on the doping issues, past and present. Our hopes are that you spend some nice time around and will return back for more! As you can see this is my first post of my new personal web page. I dedicate it to my first book – “The white prisoner – Galabin Boevski’s secret story”. The novel was published in Bulgaria on 21 December 2013. The world premiere of the English version is set for 30 May 2014.